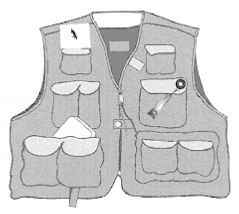 Fishing vests feature an array of pockets for tackle storage. Creels, Tackle Belts, and Buckets. The wicker creel is the tackle box of yesteryear. These fish baskets, which are worn via an adjustable harness that goes over the shoulder and around the waist, were much more popular in the days when a trout caught was a trout kept, because wicker creels are designed to hold tackle as well as fish. Wicker creels are made of thin woven sections of split willow, shaped like a rounded rectangular box, with one side concave to fit against the angler's body at hip level. A hinged lid held shut with a snap, buckle, or wooden pin allows access. They allow you to carry all of your tackle with you, leaving both hands free to fish. A vest, of course, allows that as well, but it's not wise to put a fish in your pocket. With a creel, you can keep fish cool and moist by keeping them between layers of wet ferns or moss. 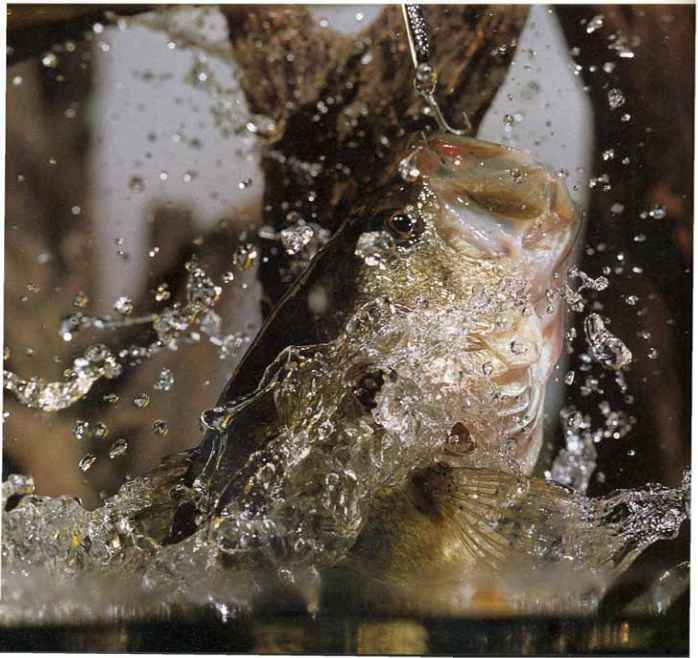 The spaces between the wicker sections allow air to circulate and water to drip out, keeping fish cool by evaporation. Canvas creels, which are purse-like bags with a shoulder strap, are similar to wicker creels in that they hold fish. An internal plastic liner allows you to carry tackle in it as well. These also keep fish cool via evaporation; just dunk the creel into water after you place a fish inside, and rewet as necessary. A plastic sheet on the outside of the creel keeps the angler dry. These creels work well, but aren't exactly sweet-smelling after a few years of use. Canvas creels (left) and wicker creels (right) allow anglers to carry both tackle and fish.